If you're anything﻿ like me - you live and breathe chocolate! I can't really put my love of chocolate into words, but I created in this cupcake, appropriately called "THE CHOCOLATE LOVER"! 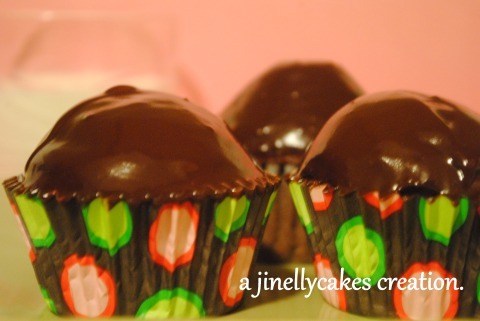 It's moist chocolate cake topped in rich chocolate ganache. Biting into this cupcake is euphoric! There's no other way to describe it. To be honest, I've eaten quite a few of these this weekend since I had a bunch left from the shoot...and I don't feel bad about it, lol.